Prices include J Hook, Bulldog Clip, or Split Ring attachment. 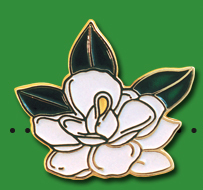 Call for additional color imprint and set up charge. Buckle clip - add .24 each (A). Safety buckle (breakaway) - add .22 each (A). Vinyl pouch - .50 (A). 021C, 208C, 186C, 469, 232C, 212C, Process Blue, Reflex Blue, 289C, Cool Gray 6C, Black, White. 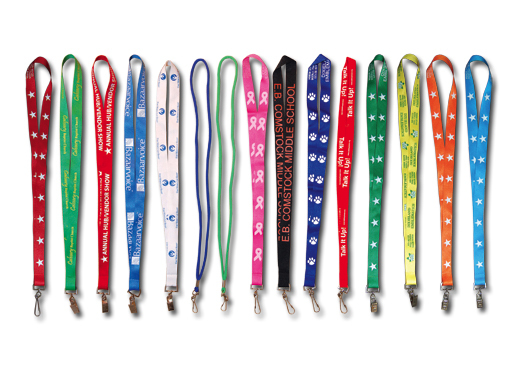 Blank 3/4" Polyester Lanyards in stock for immediate shipment - .98 each (A). Production time - 15-20 working days. ***Many more styles and sizes available, please contact us.